Official welcoming ceremony of the Greek Prime Minister, Alexis Tsipras, at the plateau of the Government Building in Skopje, Republic of North Macedonia on April 2, 2019. / Επίσημη τελετή υποδοχής του Έλληνα πρωθυπουργού, Αλέξη Τσίπρα, στο κυβερνητικό μέγαρο, Σκόπια, Βόρεια Μακεδονία, 2 Απριλίου 2019. “The two men signed a series of agreements before holding a joint news conference, in which Mr Zaev spoke of his opposite number as a «close, personal friend», the report added. 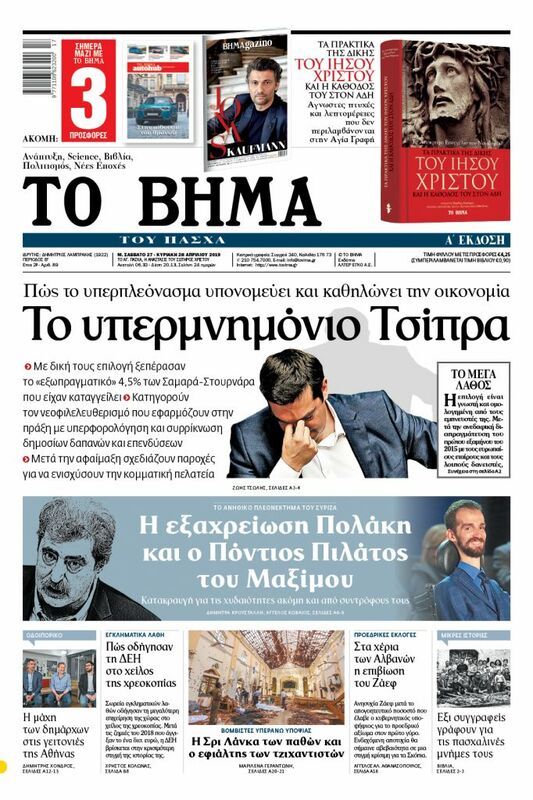 “On his [Tsipras’] trip, the first official visit to Skopje of a Greek leader since the proclamation of the independence of Macedonia, Alexis Tsipras is accompanied by ten ministers and dozens of businessmen from the agribusiness, energy and infrastructure. The two leaders intend to prove that the economies of both countries will also benefit from this agreement, which ended a political quarrel that lasted nearly three decades,” AFP reported. 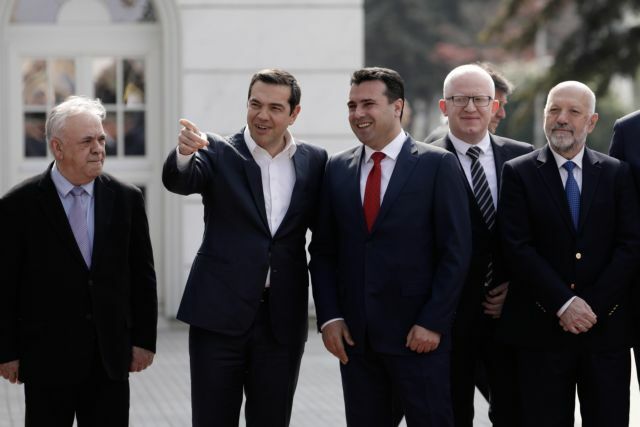 The German press agency DPA in a report entitled “Greece’s Tsipras on historic visit to North Macedonia” also noted the popular opposition to the Prespa Agreement on both sides.